You are welcome to add comments or reasons for supporting Angelo Mai. L’ANGELO MAI* is an artistic and cultural center of excellent value in Rome that has been recognized nationally and internationally, as evidenced by the numerous awards won, the press and the mobilization of hundreds of intellectuals, artists and citizens during previous attacks suffered (here the many signatures under the appeal published on La Repubblica during the last eviction: https://tinyurl.com/y6vv2bvj). The Angelo Mai is a multidisciplinary arts center completely built thanks to the work of the activists who have transformed an empty box without pavement, windows and doors into a real theatre. Angelo Mai is an artistic multifunctional center entirely built by free work of artists. They received, by legal authorization, a dismissed building: they cleaned off asbestos; built a moving stage; installed heating/ air cooling conditioner system; set a new audience seating and energy efficiency completely up to standard. Angelo Mai is chosen by many of the most important Italian artists for the quality of the artistic activities, the technical equipment, the structural layout, the continuity of activities during the year and its production skills. Its choices focus on innovation, on the contemporary scene, always situating themselves among the risky and the brave. The Angelo Mai offers artists the opportunity to present their work in one of the most significant art centers in Italy precisely distinguished by the high artistic value of the proposal. Angelo Mai’s collaboration with the artists is not limited to the provision of a stage or visibility, but is characterized by a specific work of development of individual projects and by the relation with the different audiences. We ask the Mayor Virginia Raggi and the entire Council of the City of Rome to find once and for all a solution to the permanently precarious situation of the Angelo Mai. This cultural and artistic laboratory has been performing since 2004 a lead role of indispensable value for for the City of Rome, Italy and the international cultural system. Angelo Mai needs to be guaranteed an appropriate administrative framework that can guarantee the correct and balanced professional continuation of the activity. Angelo Mai is an independent space for art. Born at the end of 2004 with the occupation of a former boarding school in the center of Rome, where twenty-five families in emergency housing and a group of artists fought for the right to housing and independent spaces for culture. The Angelo Mai in Rione Monti was evicted in 2006 and the artistic group remains without a place for three years, continuing to program theater, cinema and music in a nomadic manner in the city. It is from this period the national release of the album “Volume 1” (2007, Lael Fiori Rari) of the Collective Angelo Mai and the birth of Bluemotion, a polymorphic company. In 2009, the ANGELO MAI re-opens ALTROVE, in Viale delle Terme di Caracalla 55°, with the almost total renovation of the space without public funds, transformed from a thin shed into a theater for experimentation in the heart of the city. In March 2014 the collective is accused of “criminal conspiracy”. After a huge police operation that saw the seizure of the cultural center Angel Mai, the collective is cleared of all charges, then revealed as false judicial track. The solidarity of many national and international artists has generated a powerful response to the violence of the press. With a historical ruling, the Court of Rome ruled that the theater was returned to the collective of the Angel Mai that in June 2014 has returned to its own space. Among the activities of these years: the four months of the Argentinian teatronovela Bizarra by Rafael Spregelburd (directed by Manuela Cherubini realized in collaboration with Fattore K and Psicopompo Teatro); the cycle of Caracallas Total Shows curated by Francesco Forni and Armando Pirozzi; the thirty-six days of the Petrolio project involving more than 50 artists, including site-specific performances and the complete public reading of Pier Paolo Pasolini’s unfinished novel; Angelo Mai Italia Tropici, a journey in the performance conceived by Michele Di Stefano; the laic rite of La Repubblica dei Desideri; the Go Dai music Fest conceived by Rodrigo D’Erasmo and Daniele “ilmafio” Tortora that lasted more than a year and was animated by the most lively musical minds of the contemporary scene; A / R two-year theatrical project of prolonged and repeated residencies that involved many of the most interesting companies on the Italian scene; the multidisciplinary training project In media res / in the middle of things; Not normal, not reassuring. Project on Caryl Churchill curated by Paola Bono (realized in collaboration with Sardegna Teatro) a research on the most important English living playwright that has seen the realization of mise en espace, shows, translations and publications (three volumes published by Publishing and Entertainment) of many texts still scandalously unknown in Italy. And that this year has come to the realization of the universally acclaimed Settimo Cielo by Giorgina Pi coproduced with the Teatro di Roma. From 2004 to today, Angelo Mai has built important events and intense relationships with many musicians, actors and intellectuals who have inhabited the space with concerts, shows, workshops, residencies, productions, public meetings and assemblies. 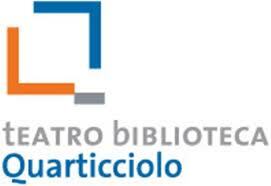 Some among the many: Accademia degli Artefatti, Ateliersi, Balletto Civile, Lucia Calamaro, Eleonora Danco, Fanny & Alexander, Mariangela Gualtieri and Teatro Valdoca, Isola Teatro, lacasadargilla, Living Theater, Menoventi, Motus, Teatro delle Albe, Afterhours, Sonia Bergamasco, Charles Bradley, Vinicio Capossela, Alvin Curran, David Fenton, Agostino Ferrente, Fabrizio Gifuni, Claudio Giovannesi, Joe Lally (Fugazi), Daniel Johnstons, Giovanni Mastrangelo, Roberto Minervini Marco Lodoli, Massive Attack, Teatro degli Orrori, Emanuele Trevi , Wu Ming and hundreds others. Angelo Mai shares projects and visions with the Italian Society of Literature, the non-scuola of the Teatro delle Albe, the elementary and nursery schools “Giardinieri” of the Elsa Morante complex located in the San Sebastiano Park and collaborates regularly with the Progetto Diritti Onlus, a place of research and discussion around the themes of the rights of individuals and social groups, with particular reference to foreign citizens, minors, women, prisoners and persons affected by social and economic discrimination and marginalization. It has always been in dialogue and collaborated with other Roman independent spaces and social centers. Angelo Mai supported the practices, shared visions and walked together at the Teatro Valle Occupato and has collaborated with many city festivals, including Short Theater and Teatri di Vetro. In 2016 it won the prestigeous award: Premio Franco Quadri.